When you read this, release your shoulders from your ears, unclench your jaw, and release your tongue from the roof of your mouth. 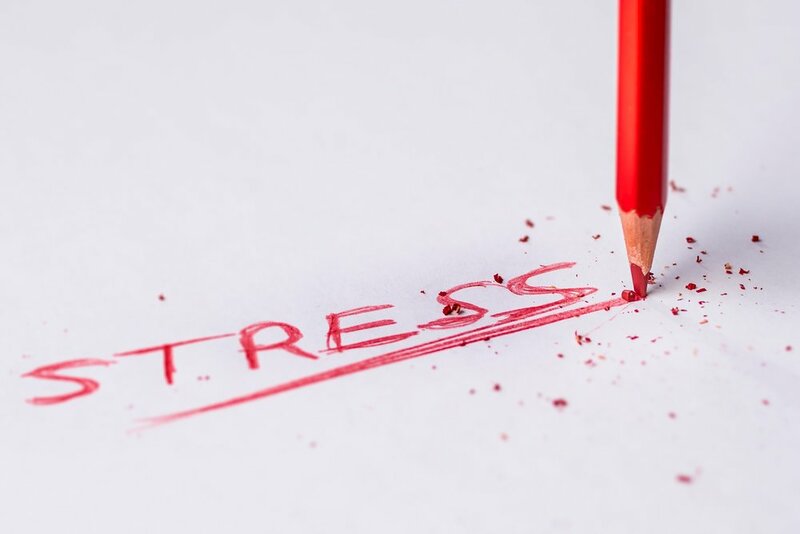 We physically tend to hold onto stress in the least noticeable ways. Easier said then done, am I right? It’s easy to go about our day feeling stressed and do nothing about it. We feel like we don’t have the time or the energy to do anything else but work, work, work. It is challenging to be a mindful human being; to make conscious decisions throughout the workday to take care of ourselves. Do you check in with yourself throughout your work day to see how your mind and body are feeling? If we make a conscious effort to check-in with ourselves, we can tune in to see what our mind and body needs on those stressful work days. Close your eyes for one minute. Let your eyes rest, we take in so much information through our sight. Your eyes need a break from the hours of screen time, whether it’s business, tinder swiping, or online shopping. Go outside. Focus on your five senses. How does the sun or breeze feel? What do you see? hear? smell? Lay on the floor. It can really help you feel more calm and grounded. Squeeze a stress ball to release tension. Give yourself a mini-massage wherever you are holding your stress and tension. Go to the nearest private space and shake out the stress you are feeling, releasing the tension from your body. Imagine all of your stress and anxieties shaking off of you releasing them into the earth. Literally let your whole body shake. If self-judgement creeps in, notice it and let it pass as you continue to release the built up tension in your body. How does your body feel now? While taking deep breaths, close your eyes and imagine yourself in a safe and comfortable place. Maybe somewhere out in nature surrounded by redwoods or mountains. What does your safe place look like? What do you see, smell, hear, and feel while you are there? You can even set a timer if that feels helpful. Stretch your body. While taking deep breaths, tune in and listen to your body. Let it move how it needs to move in the moment. Remind yourself that you are doing the best that you can in this moment and breathe. And of course, we always have our breath as a resource. Focus on your breath, close your eyes, and take at least ten deep slow breaths. It’s easy to make excuses not to do what is needed throughout our work day to take care of ourselves. How can you support yourself during your stressful work day? If you’d like to learn more about how you can support yourself, please feel free to reach out for a consultation. I’d be happy to help.